Two weeks isn’t nearly enough time to experience everything that Laos has to offer, but it will be plenty of time to fall in love with the country and its easygoing people. Follow this 14-day itinerary to see, eat and do new things in Southeast Asia’s least populated and least developed country. Start in the deep south for two days of relaxation to get over your jet lag on these tropical islands in the Mekong River. Stay on Don Det if you’re looking for a party and drinking. Stay on the slower paced Don Som or Don Khong if quietly sipping Beer Lao while watching the boats from a hammock is more your pace. Check out Southeast Asia’s largest waterfall, Khonephapheng, then charter a boat to watch the critically endangered Irrawaddy dolphins play in the river. From 4000 Islands, take a bus north to Pakse, a former French fort that blends European-style coffee shops (check out 124 Tha Luang) with Lao culture. Spend three days taking in the sights and smells. Spend a morning watching the wheeling and dealing at Don Heuang Market, the biggest in southern Laos. Plan a day trip to the town of Champasak to see the ancient Khmer ruins of Wat Phou, which pre-date the Angkor temples. Get out of town onto the Boleven Plateau, famous for coffee plantations and gorgeous waterfalls. On the tour of Laos from south to north, stop by the Mekong riverside town of Thakhek to explore the caves and mountains on a famous three-day motorbike loop. Try rock climbing at Green Climbers Home and be blown away by the Karst mountains that pop up from the flat plains. Cave Kong Lor is the highlight of the loop. This 7.5 km cave is only accessible by boat, and visitors shine headlamps on the intricate crystals and rock formations in this geological wonder. Spend a day in Southeast Asia’s smallest, most laid back capital city. Visit the COPE Center to learn about Laos’ tragic past as the most bombed country per capita in the world. Check out Wat Si Muang and Wat Sisaket to appreciate Laos’ Theravada Buddhist culture, then climb up to the top of Patuxai or Victory Gate to appreciate Vientiane from above. Spend the evening perusing the Night Market, strolling down Walking Street and sipping a Beer Lao at the bars and restaurants that line the Mekong. Take a minivan three hours north of the capital to spend the next two days in Vang Vieng. 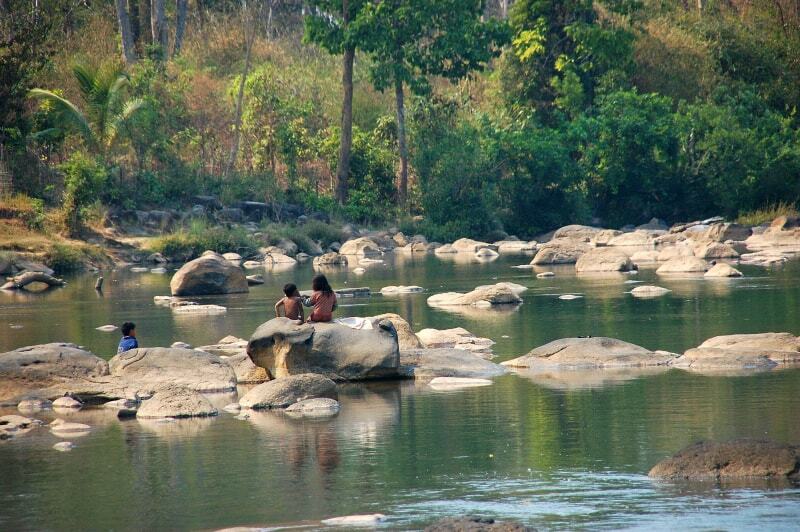 Tube down the Nam Song and be blown away by the sunrises and sunsets over the mountains. Hiking, cycling, yoga and caving are on offer. For those less physically inclined, take in the mountains from a hot air balloon or drive down the dusty roads on an ATV. Plenty of nightlife lights up this little town with live music, dance parties and plenty of great food. Continue the tour north for your final three days in Laos, basking in the crown jewel of Southeast Asia: Luang Prabang. This UNESCO World Heritage site is home to some of the finest temples in the country. Eat delicious Lao and European cuisine and enjoy the cafe culture while sipping some of northern Laos’ finest roasts by the river. Don’t forget to get out of the city to explore the waterfalls, botanical garden, and Pak Ou Cave. Fly out from the international airport, or take the slow boat to Thailand to continue the adventure.